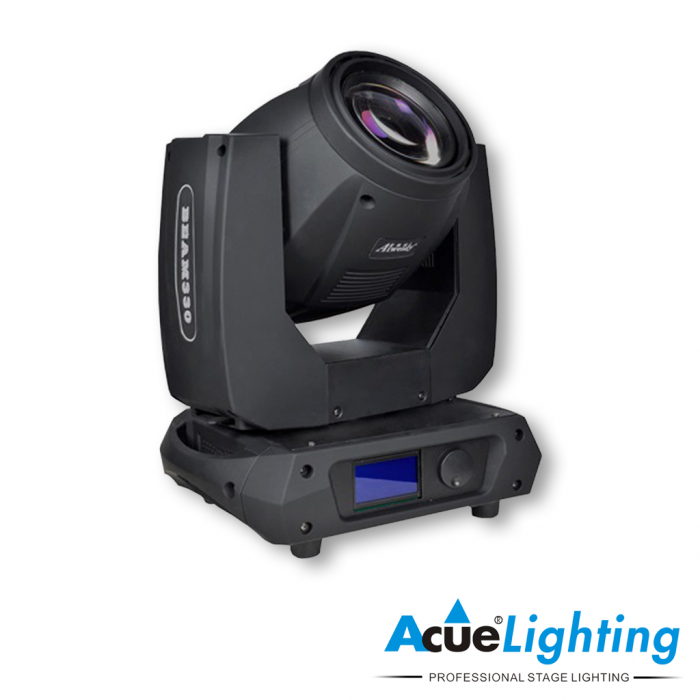 The Acue Lighting 15R Beam is one of most powerful beam moving heads on the market. 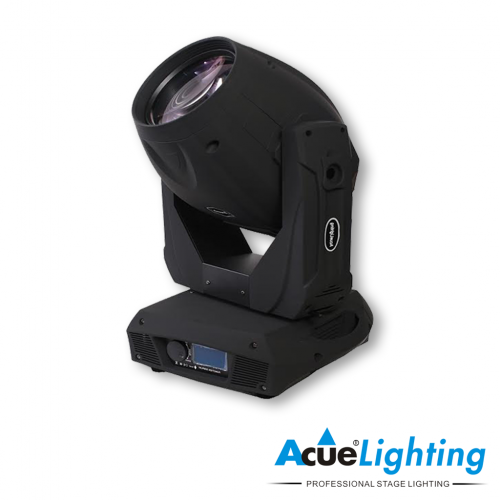 It has been called the “Mini Search Light”. The “Mini” is mostly for its size and not the strength of the beam. 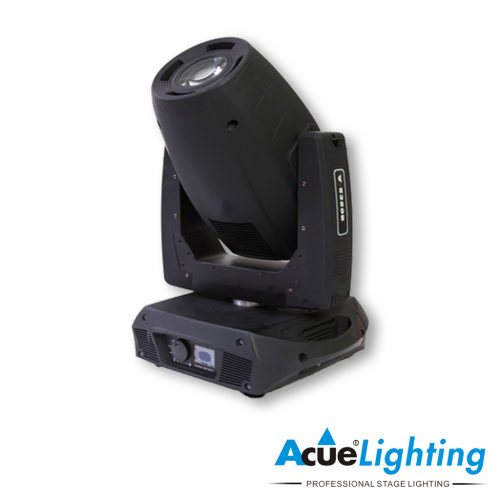 This fixture is widely used in outdoor applications and large arena shows where a long-throw is necessary without the loss of any light strength. 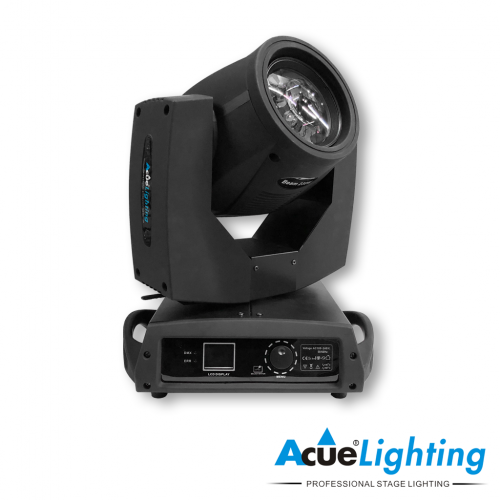 The 15R Beam is powered by an extremely powerful 330W 15R bulb. It has a few unique features that set it aside from other beam fixtures including but, not limited to, its dual prism wheels (16 facet and linear) and a linear frost filter. 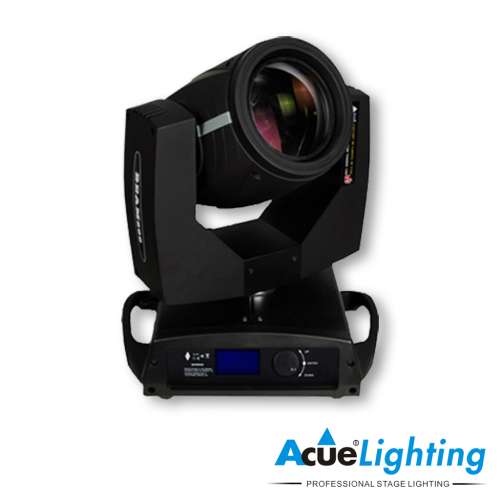 When you need a powerful beam for your lighting rig, look no further than the Acue Lighting 15R Beam Moving Head.